We are a non-profit, non-partisan society under the BC Societies Registry, since 2008. Our 148 yr. old Representative Democracy system authorizes only a few politicians to make all decisions for all of us. 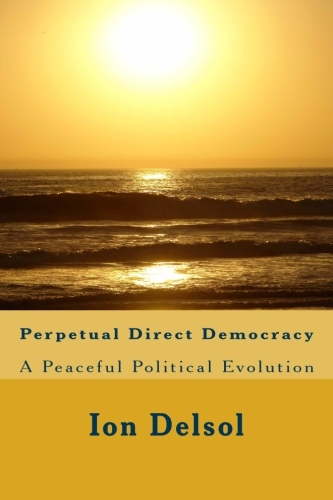 Perpetual Direct Democracy aims to amend the system, for those citizens who want to participate in the decision-making, by adding the right of citizens to legislate by initiative, and plebiscite. Unlike the 1996 BC Initiative Legislation, which requires 10% of signatures from voters, this non-binding poll does not require any other voter to approve your initiative to be posted. Neither does this non-binding plebiscite require a minimum number of participants to be tabulated and published. Our mission is to offer an innovative, perpetual polling system as a cyber forum to help tabulate public opinion. Why do we need polling? Political power, under representative democracy, is delegated to a few political leaders; however, mainly because of the internet, no longer just politicians have the knowledge to make decisions. Most citizens have as much understanding and wisdom as political leaders to decide what is needed for better social services and governance. Additionally to having access to abundant information, we are now able to interact with each other as never before, so we are able now to perpetually and instantly debate and measure our collective opinion and consensus, and this poll's results are a potential tool to ask politicians to legislate the citizen's will. NowPolling.ca lists topics, and requires participants to add in a few words their own initiative about a relevant political topic, and requires their vote on any of the listed opinions. Additionally, their can review their choice and change their vote anytime they change their mind. NowPolling.ca tabulated results are transparent to anyone; however, the individual accounts, with the ability to add choices and vote, are accessible only by the individual voter through a private password. There are over a thousand registered participants in our files; however, we are aware that for this poll to be significant to Canadian politics, we need many more thousands of participants. In 1991 BC Elections, the last Social Credit Government had a referendum on "Referendum and Recall". 83% and 81% respectively voted in favour of both questions. In theory, "Initiative and Recall" were legislated in BC by the NDP in 1996, advertising a more participatory democracy; however, in practical terms, the mechanisms for public participation were designed to fail because of the high threshold: 10% province wide, to start an Initiative, and 40% per riding, to start a Recall. Beyond registering as participant on this polling system, We welcome your suggestions to optimize it, and to volunteer in committees to verify the identity of participants, and to improve the security and transparency of the polls. Contact us - Send questions or comments to polling(at)vcn.bc.ca.